The Metropolitan Museum of Art recently unveiled it's special fashion-focused exhibition entitled Manus x Machina: Fashion in an Age of Technology, which explores the dichotomy between handmade (manus) and machine-made (machina) in the creation of fashion. This year's exhibit features over 150 pieces of haute couture and avant-garde ready-to-wear dating from the 1880s to present day. Cirque Colors created a 6-piece collection inspired by the materials and production techniques that are explored throughout this exhibit. 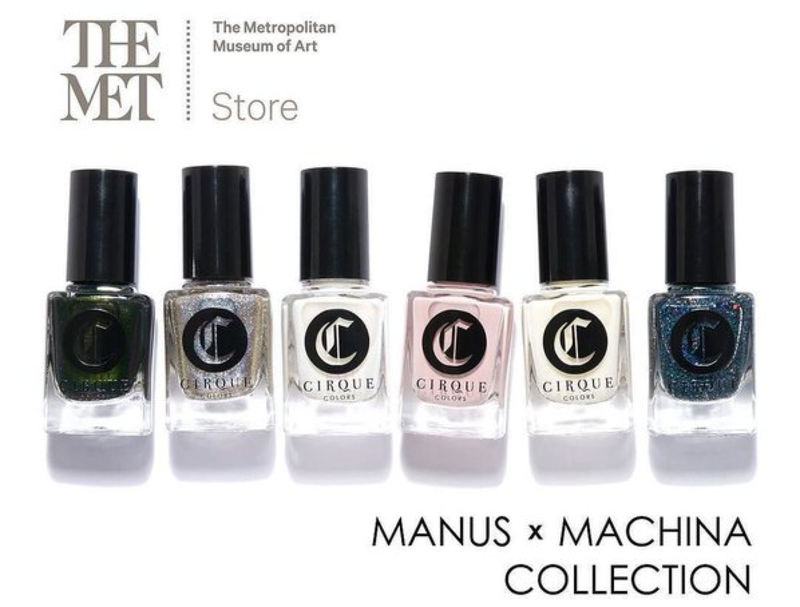 It's an honor for me to be included in this collection release by Cirque Colors, creating nail art inspired by the fashion from this exhibit. You've seen my interest in fashion with my participation co-hosting the Nail Art Fashion Week challenge not once but twice so far. I've always been drawn to the world of haute couture and was thrilled when Annie from Cirque Colors asked me to collaborate and create nail art designs inspired by the fashion behind these shades. I did in fact get to see this exhibit first hand and it was breathtaking for me. I do recommend you see it if you are in the NYC region or will be traveling here. It runs through August 14, 2016. Please read the detailed Cirque Blog post for the official brand announcement. 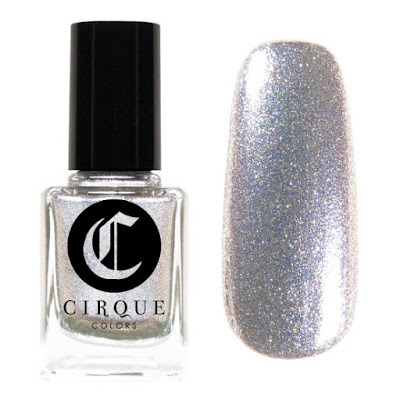 Cirque Colors MOON DUST Limited Edition: A chameleon silver foil made with superfine sterling silver pigment. This universally flattering nail lacquer shade is both futuristic and ancient, lending an otherworldly elegance to the wearer with dazzling iridescence and a nod to the power of the hand in space-age design. My personal favorite of this collection. This shade has a great formula, and opaque in 2 coats. I used 3 here, just to be on the safe side. In my opinion, this is a grown up glitter that is very unique, as it does show off a pink iridescence. Swoon! 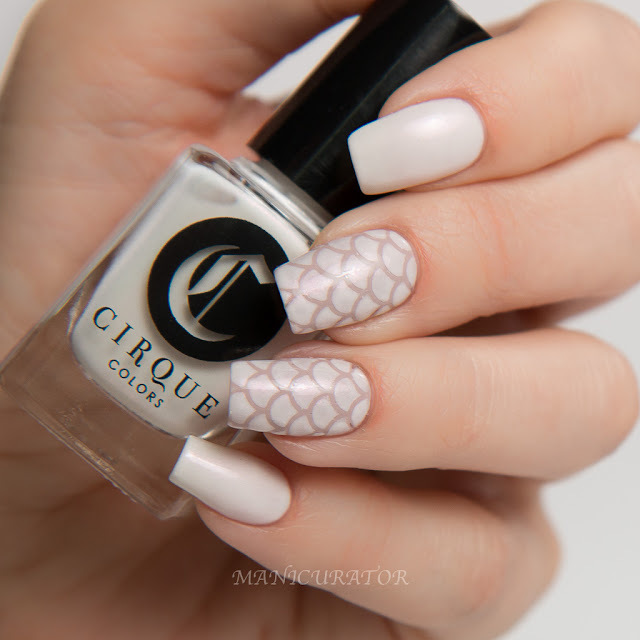 To create this simple and elegant nail design I first applied 2 coats of Cirque Colors Ultrasonic and then fast dry top coat, then used What's Up Nails Circle Tape Nail Vinyls to block off the moon and used a dotter to make gradient dots down the nail. No top coat over the dots! 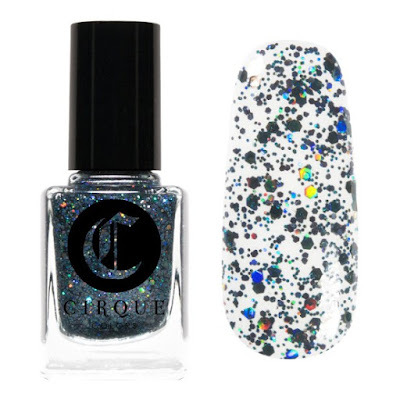 Cirque Colors LASER JET Limited Edition: A sparkling black holographic glitter topper that can be used alone for opaque coverage or layered for a shimmering effect. 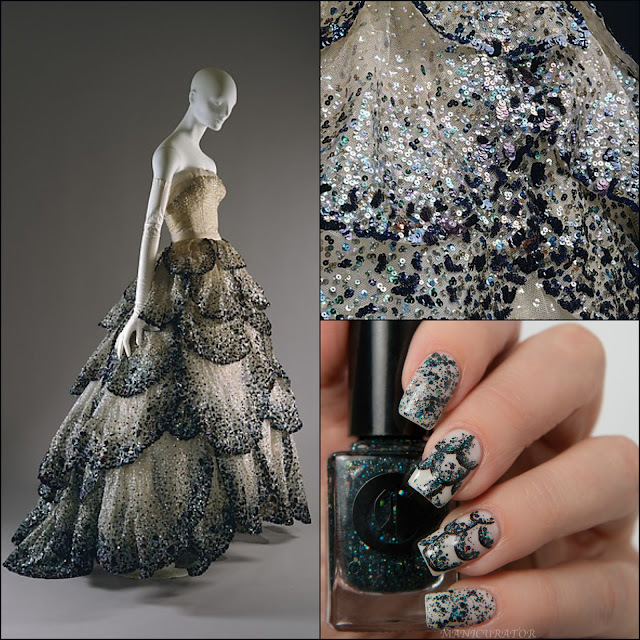 This high-tech lacquer is inspired by the machine-like perfection achieved in hand-beading and embellishment of both couture and prêt-à-porter garments. 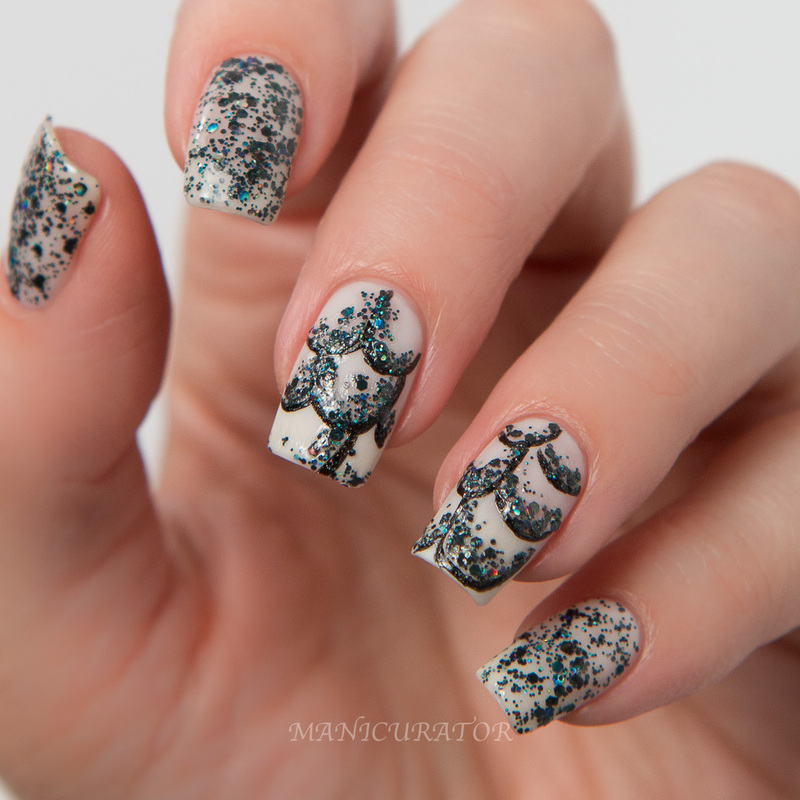 An easy glitter to work with. I had no issues with formula, application and no fishing for glitters necessary. 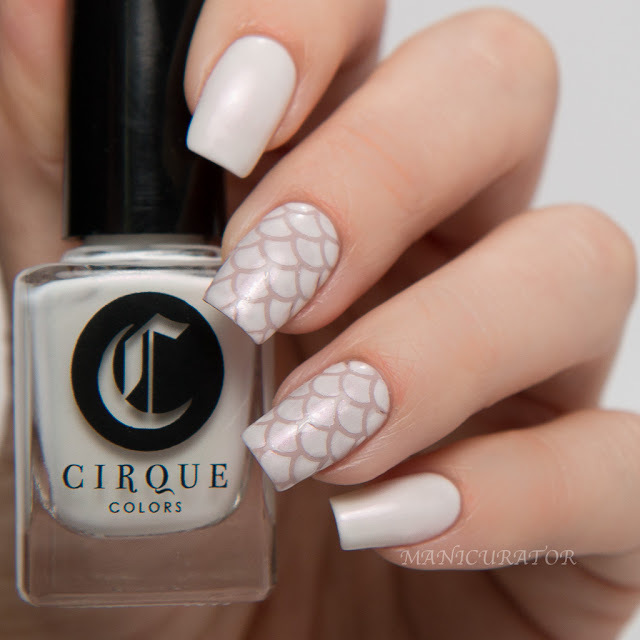 To create this design I applied 3 coats of Cirque Colors Ultrasonic and fast dry top coat. I used a small nail art brush to paint the outline of the dress using Cirque Colors Alter Ego. Then I dabbed on glitters from Laser Jet along the outlines. 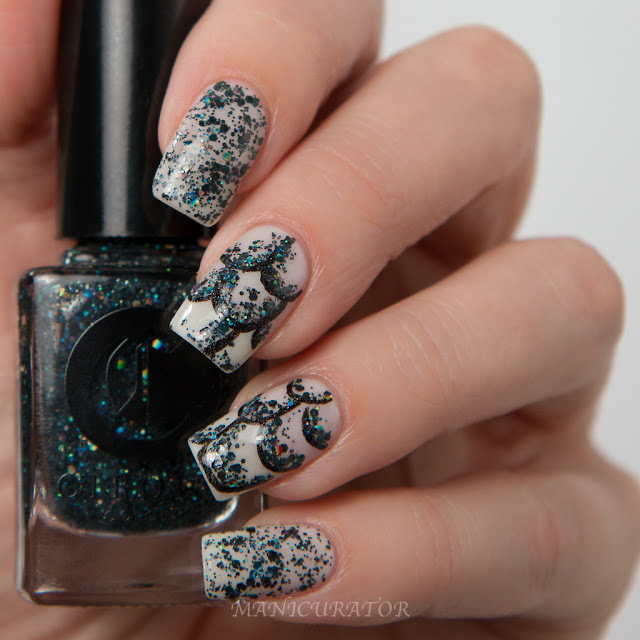 On the swatch fingers, I painted on 1 coat of Laser Jet over 3 coats of Ultrasonic and dabbed some glitters where I wanted a bit more coverage. I decided to matte Ultrasonic with Cirque Colors Matte Look Top Coat before I painted on the dress design. 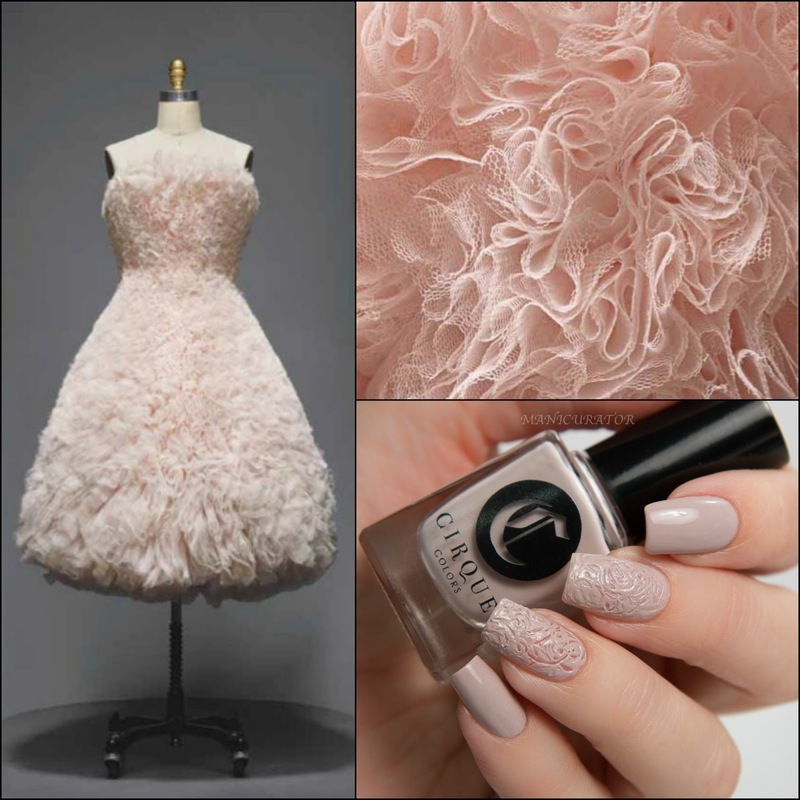 I think it matches the dress so well that way! Of course I had to see how it looked all glossed out with top coat too! 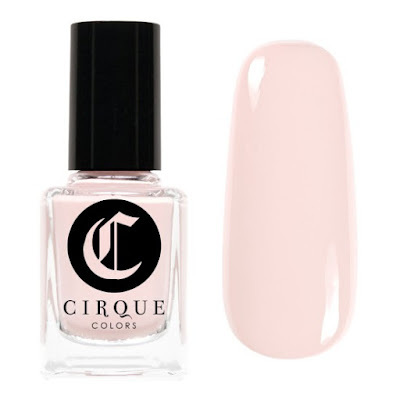 Cirque Colors PRET-A-PEARL Limited Edition: A soft white shade with a rouge-pink sheen, this refined lacquer is inspired by the subtle iridescence of mother-of-pearl. Known for its luster, strength, and resilience, this prized natural material has been used in fashion for centuries, inspiring various synthetic imitations. 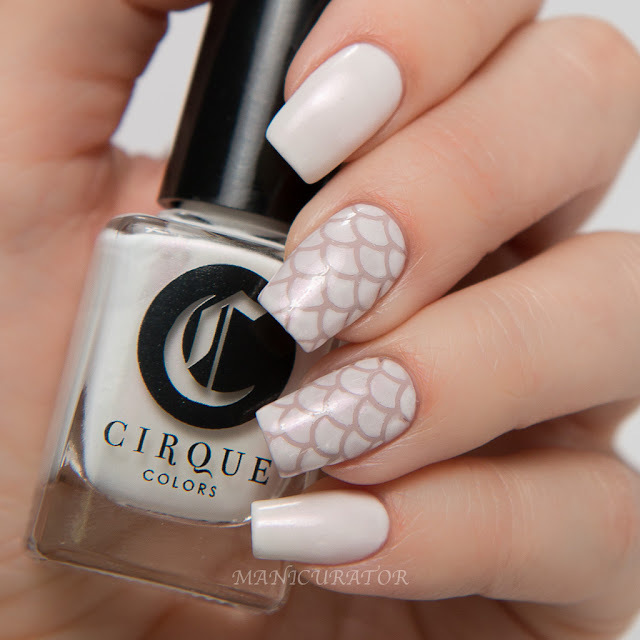 Beautiful white with a pink shimmer that I haven't quite seen in a polish before. I love it. White pearlescence formulas tend to be trickier to apply so I would recommend using 3-4 thin coats to get full coverage. 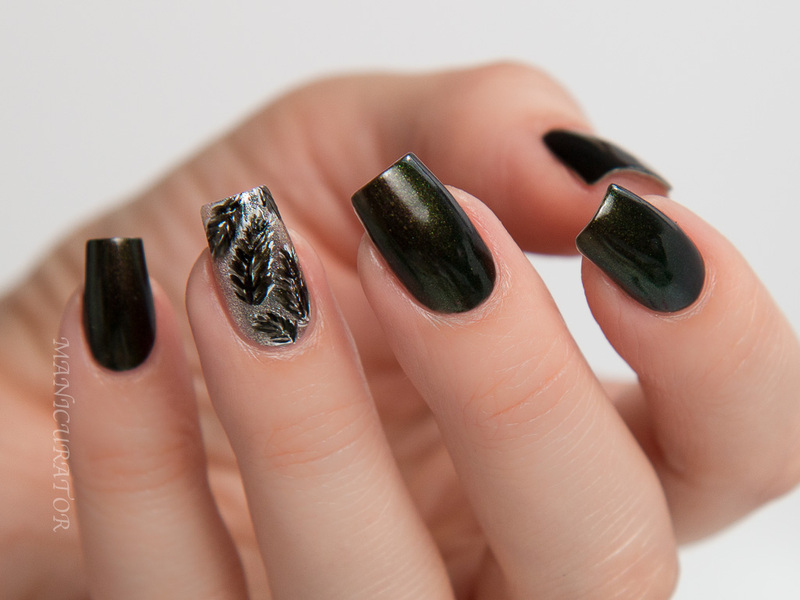 A good top coat will smooth it out perfectly. 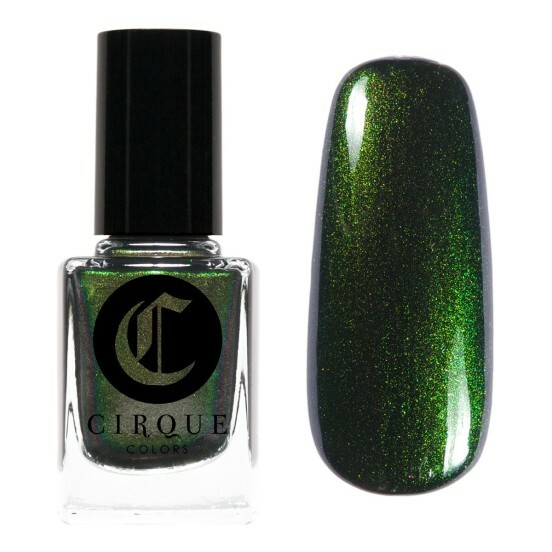 For the nail design I applied 2 coats of Cirque Colors Tulle and fast dry top coat. Then I used Whats Up Nails Scale Vinyls and 2 thick coats of Pret-A-Pearl. 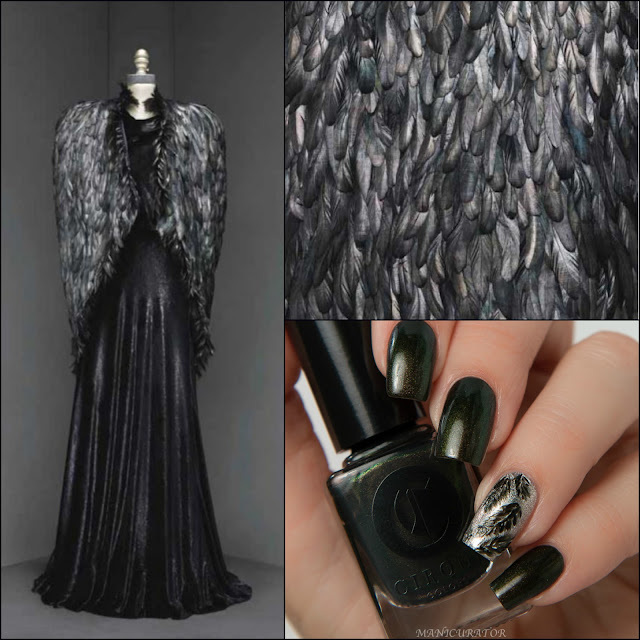 Cirque Colors RAVEN Limited Edition: A spellbinding black with green iridescent shimmer calling to mind the opulent designs for evening showcased within the Manus x Machina exhibition. This multi-dimensional nail lacquer was inspired by such diverse materials as feathers, satin, and vinyl used in haute couture embellishments. 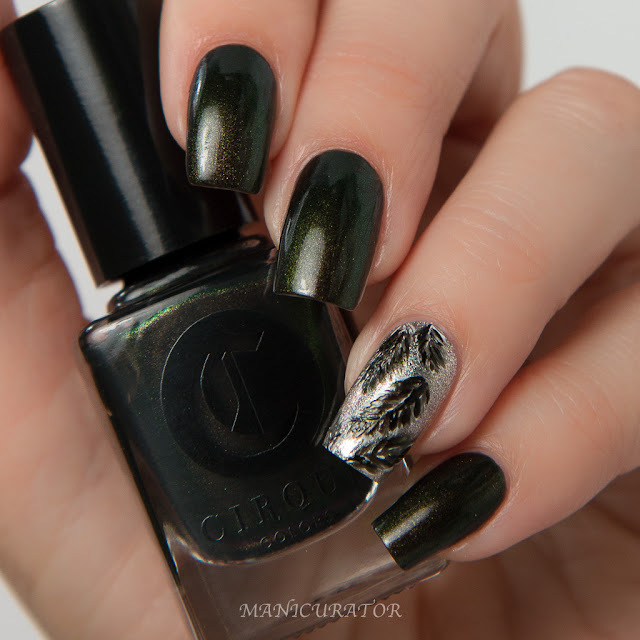 A brooding shade with hints of brown, black and green that looks different at different angles. No problems with formula or application. I used 3 thin coats for the swatch nails. 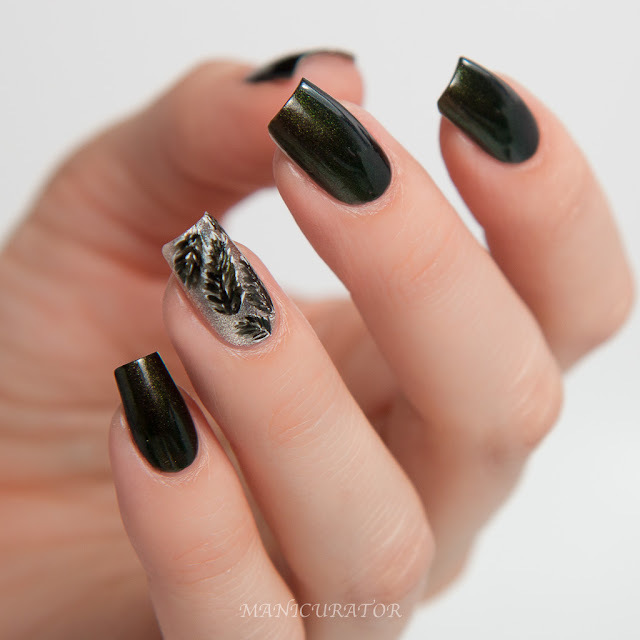 The design is freehand with a small nail art brush using Cirque Colors Carpe Diem, Raven, then Memento Mori over Moon Dust. 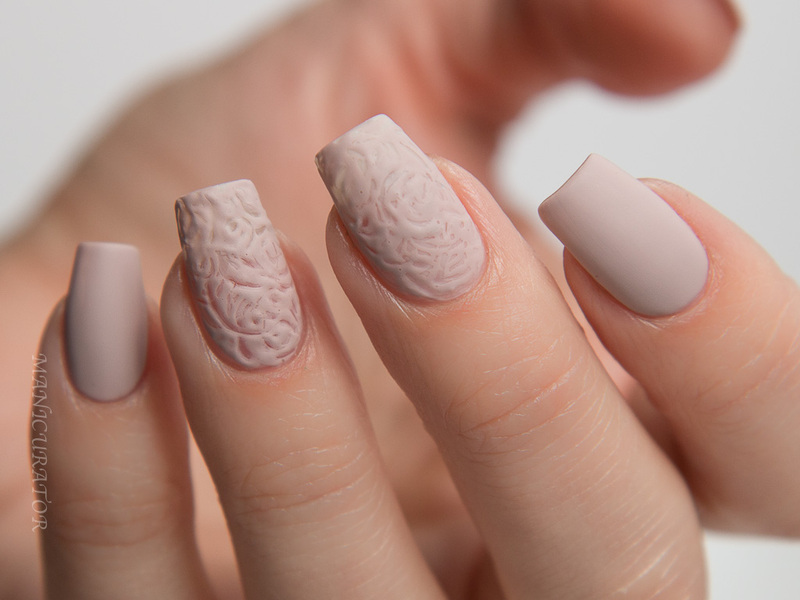 No top coat for this manicure. 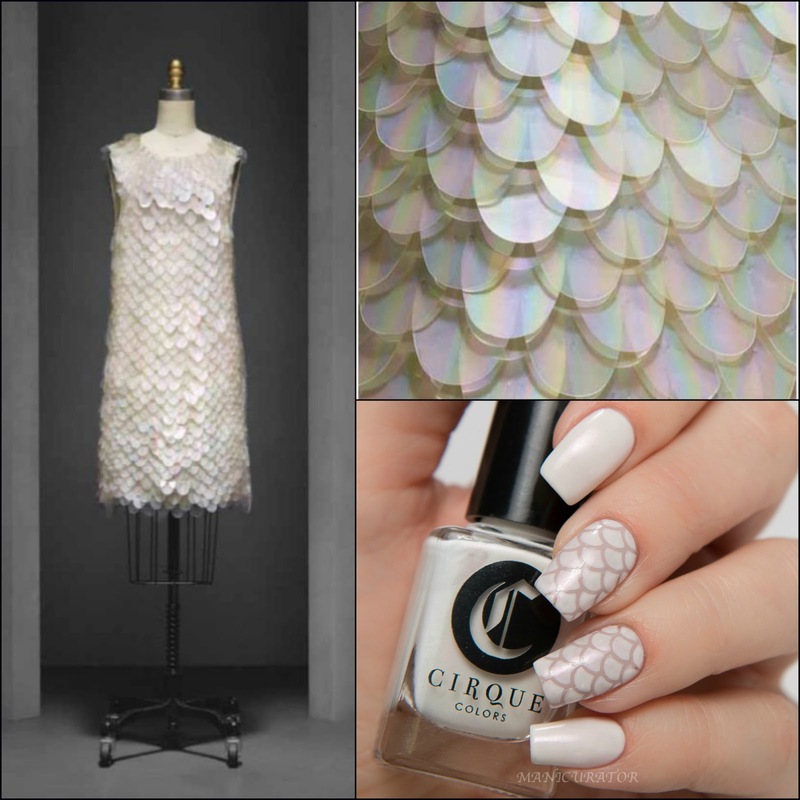 Cirque Colors TULLE Limited Edition: A light pink-beige crème inspired by the dichotomy of precision and lightness embodied in handmade accents from the various haute couture métiers, including dentellerie (lacemaking), parurier floral (artificial flowers), plissage (pleating), and plumasserie (featherwork). This shade is more beige than the pink that the promo photo (above) shows. It has an excellent formula and is opaque in 2 coats. Easily became a new favorite neutral for me. 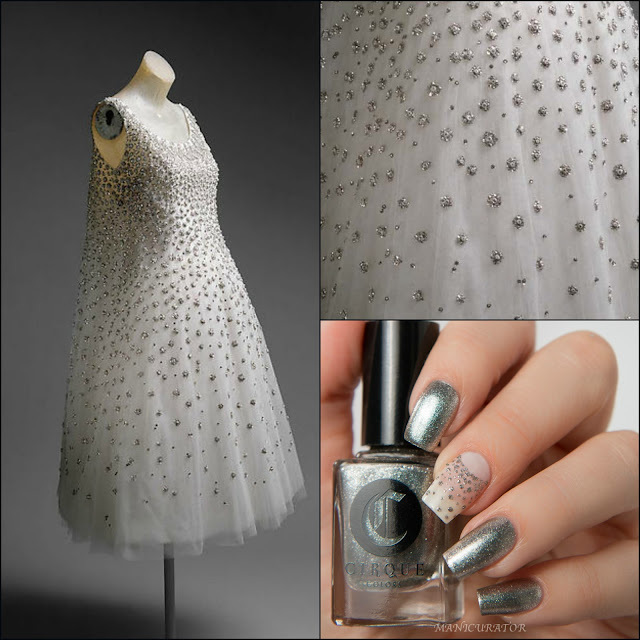 I wanted to capture the texture and seemingly ordered randomness in the above fabulous dress. I tried quite a few different techniques until I got this one that I was pleased with. I simply used the pointy smallest dotting tool I have to make these swirls and figures 8's onto freshly painted nail. As I swirled, the paint began to dry down, allowing the design to take hold. OK, here I had to try out how it would look with top coat. It softens the look and makes it look for "finished" for sure. Lastly, a look with matte top coat. Yep, I like this one as well. In fact, I wore this for days! Cirque Colors ULTRASONIC Limited Edition: A sheer linen-white inspired by designer toiles which serve as working prototypes for finished fashion designs. 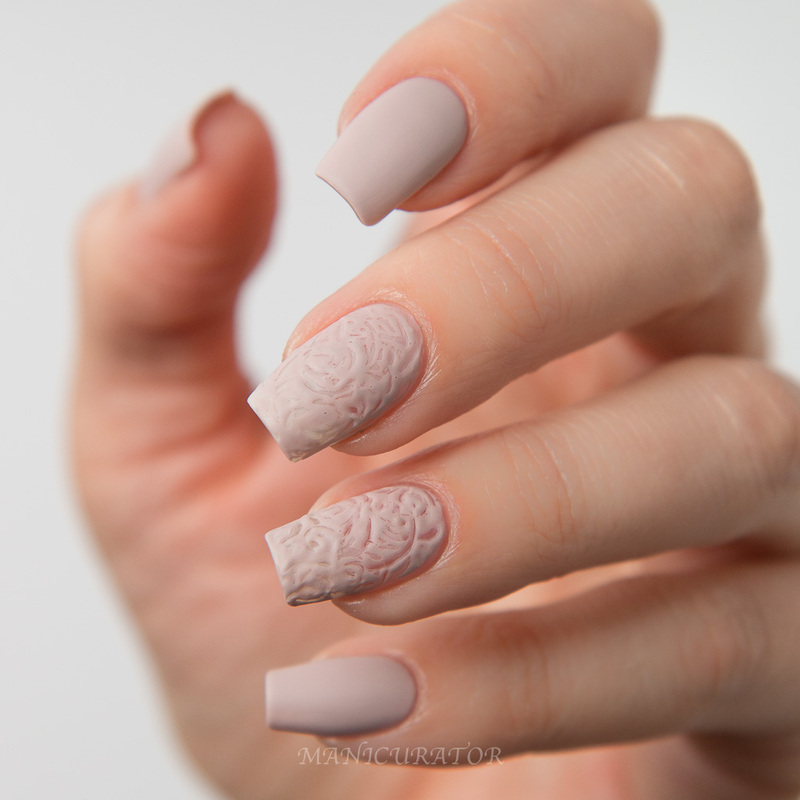 This foundational shade pays homage to the creative process, providing buildable coverage and a perfect blank canvas for nail art. This is a gorgeous crelly formula, where you can apply one coat for a hint of sheer brightening off white or build it up for more coverage. My swatch nails have 3 coats and you can still see the nail line. I love it and love the formula. 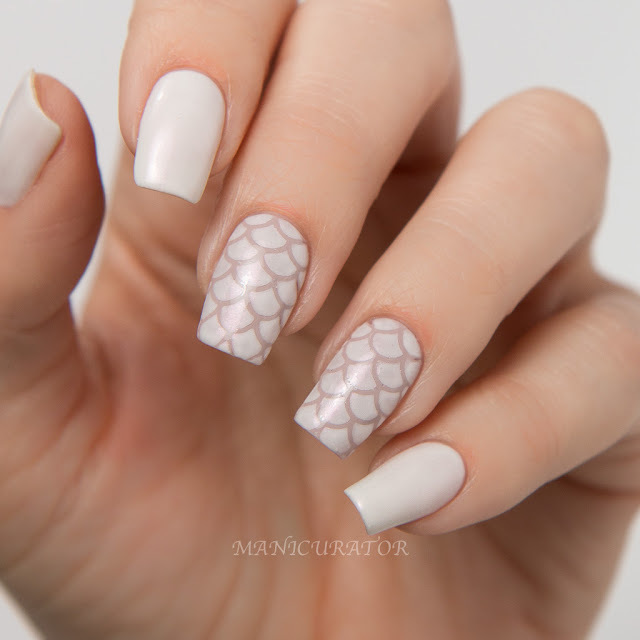 I know I will pick this one up again and again for nail art as well. The design was done free hand with Cirque Colors Memento Mori to give the feel of this funky modern fashion artwork. 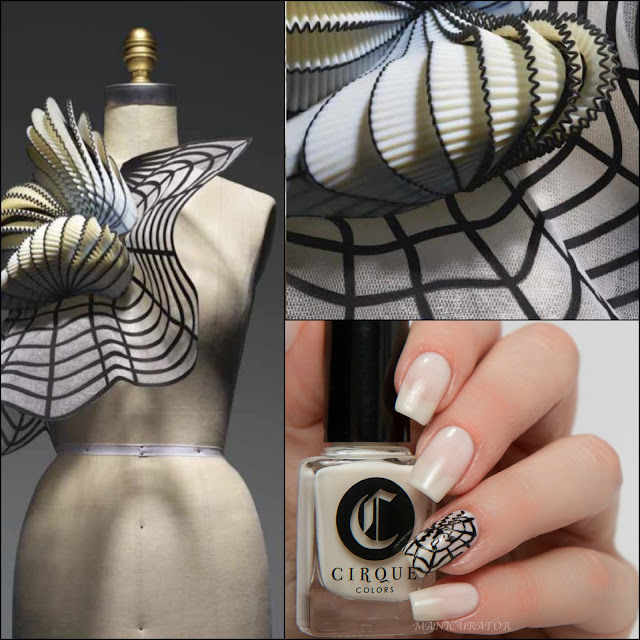 This spider web-y look is not one that I would wear normally, but I do think it captures the essence of the piece. 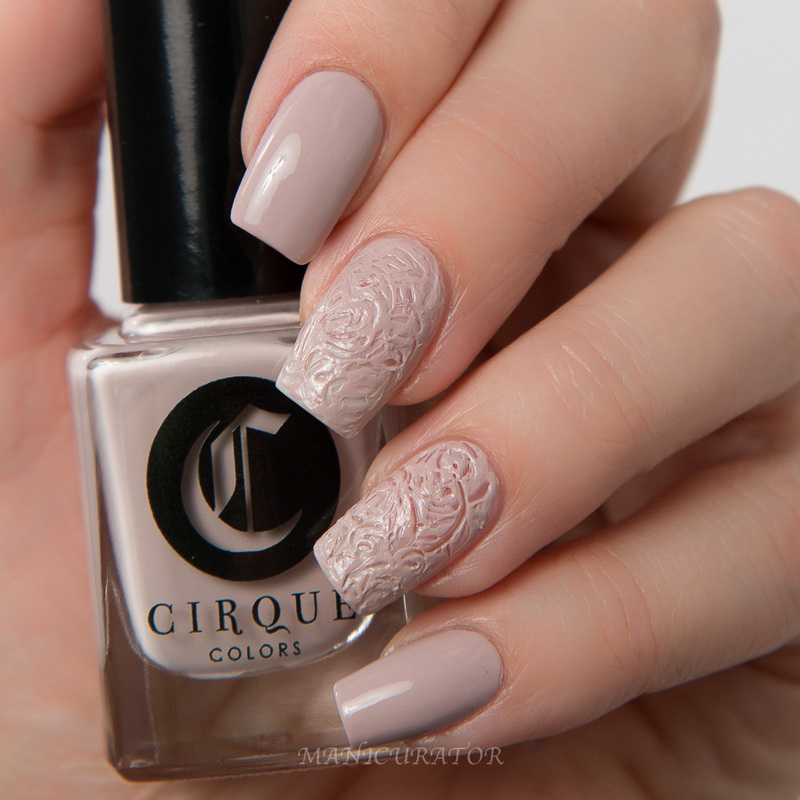 I also felt the need to see this one with matte top coat. I love it both ways! Huge post, right? 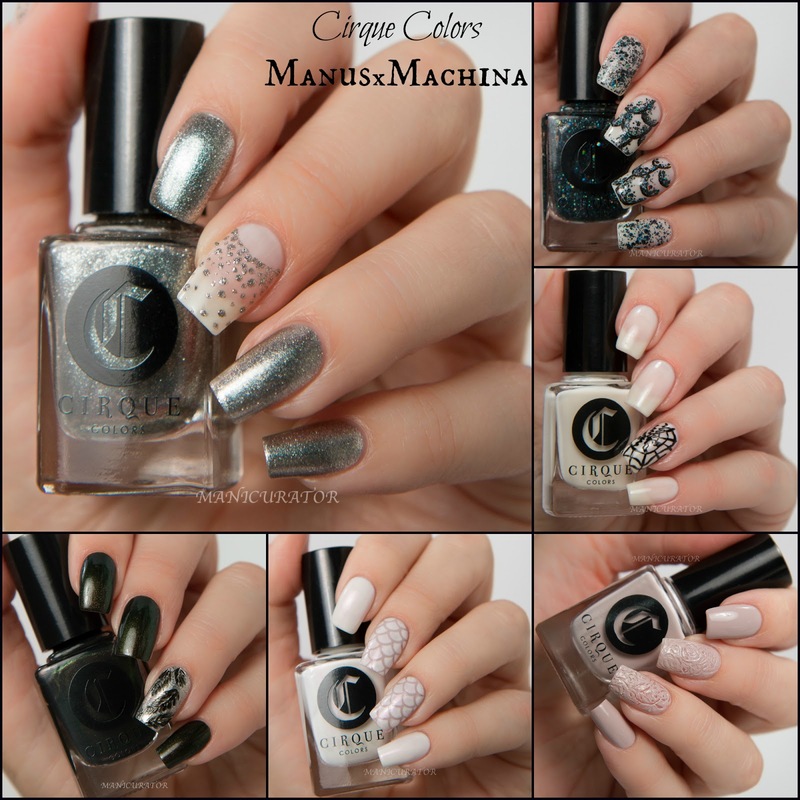 I loved playing with these shades and being inspired by this exhibit and these designs are exactly what I love to do! Hope you enjoyed seeing them! If you are in NYC and you love fashion, I urge you to get to The Met and see this exhibition. Through Aug 14, or while supplies last.